I wanted to take the time to say thank you to John (I unfortunately didn't get his last name) and Steve Niyogi. They made the car buying process so fast and smooth and I appreciate their hard work. I also want to give a big thank you to Clint (didn't get his last name either) as he worked hard to get me approved for a 2016 Volkswagen Jetta, even though my credit score is not the greatest. I drove off the lot with my new vehicle on Saturday, March 30th and I still can't believe that everything went so smoothly. I even noticed a few scratches on the top of my car and John and Steve were more than happy to assist me today at the dealership. The salesmen definitely make this dealership thrive and have awesome personalities and are very personable and know how to be engaged with who they are serving at that point and time. I felt warm and welcomed even by some of the salesmen that weren't personally assisting me. JJ is a riot for sure. I give them five stars, and I will make sure to refer my friends and family to this dealership if they are looking for a great deal on a new car. Very nice customer service. Their sales representatives look honest and genuine and not tol pushy. My experience was great. They had the best inventory in the area. My Sales person Steve, did a great job of finding my car. He also took his time and didn’t pressure sell me. I was shown around the dealership which is very impressive. One of the cleanest garages I’ve seen. As for the car, I purchased a new GTI and I’m in love with this car. Purchased a used Beetle for my wife. Worked with Steve Niyogi in sales, who was very professional, as was the rest of the Hendrik staff. Great experience, my wife loves her VW! 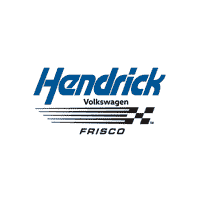 After visiting McKinney, Metro, and Clay Cooley, Hendrick in Frisco is THE ONLY dealership you should go to for your VW. Don't waste your time with the other dealers in the metroplex. Hendrick doesn't waste your time and are upfront with their pricing. No "dealer add-ons" bs, what you see is what you get. Even though you aren't being charged for dealer accessories, Hendrick GENEROUSLY outfitted my car with tint, edge guards, and nitrogen-filled tires. These services at any other dealership would run upwards of $800. You seriously save some money by taking your business to Hendrick. Ademir and his financial man Mo took great care of me. They deserve recognition for their excellent service and attitudes. Even though I went in at closing time they still treated me as if I was any other priority customer. We ended up staying an hour past closing but I was still treated incredibly well. This is a dealer I wouldn't hesitate to buy a car from again. I'm sure you won't regret giving Hendrick VW a shot, because after lots of shopping around I truly believe they are the best VW in the metroplex. My only regret is that I should have came here first and not have wasted my time with the other dealers!